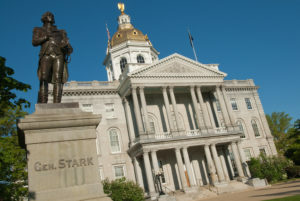 A bill creating a committee of lawmakers to study auto insurance labor reimbursement rates in New Hampshire has passed both houses of the General Court and will go to Republican Gov. Chris Sununu. However, the House Commerce and Consumer Affairs Committee instead voted 18-1 in favor of an amendment to scrap that notion and rewrite the bill to create the new four-lawmaker labor rate study group. HB 1663 calls for the House speaker (currently Rep. Gene Chandler, R-Bartlett) to name three representatives to the committee and the Senate president (currently Sen. Chuck Morse, R-Salem) to name one senator. The bill takes effect as soon as Sununu signs it into law. Two collision repairers presented to the Senate Commerce Committee on March 27 a New Hampshire auto insurance industry refusing to accept “fair and reasonable” labor rates. However, despite the criticism levied against insurers’ rate practices during the hearing, a summary of the March 27 meeting reveals that lobbyist Mike McLaughlin (Shaheen & Gordon) signaled that the Property Casualty Insurers Association of America supported HB 1663. Sponsor Rep. Dennis Green, R-Hampstead, whose official biography mentions he enjoys auto restoration, told the senators the bill was intended to help repairers doing mechanical work, though the study committee’s scope seems to be all collision repair labor rates. Green and Lori Nadeau of Birch Street Collision described a ridiculous scenario where insurers would rather sublet the work to a dealership, and pay the additional cost of for tows both ways than just pay the body shop the dealership’s mechanical labor rate to do the work in-house. But Mike Berounsky of fourth-generation Ben’s Autobody also described a problem with insurer reimbursement of auto body labor rates as well. Nadeau seemed to share this sentiment, though it was unclear if her comments were directed at shop mechanical rates, other collision repair rates, or a combination of the two. Collision repairers must be certified and trained — the latter sometimes required by carriers, “but yet, they don’t pay us for it,” Nadeau said. The auto body repair industry had reached a point where “we need help,” she said. The average body rate in CCC estimates was $43.86 in 2009, according to CCC’s 2018 “Crash Course.” It rose to $48.85 in 2017, a statistic derived from estimate charges that doesn’t distinguish between discounted DRP rates and door rates. With inflation, $43.86 in December 2009 should have translated to $50.07 in 2017. National AutoBodyResearch data from 4,650 shops found an average labor rate of $57. Mike Berounsky of fourth-generation Ben’s Autobody (est. 1932! ), agreed the labor rate hadn’t kept pace with technology, but he gave an example of when it might not have kept pace with more traditional shop expenses. 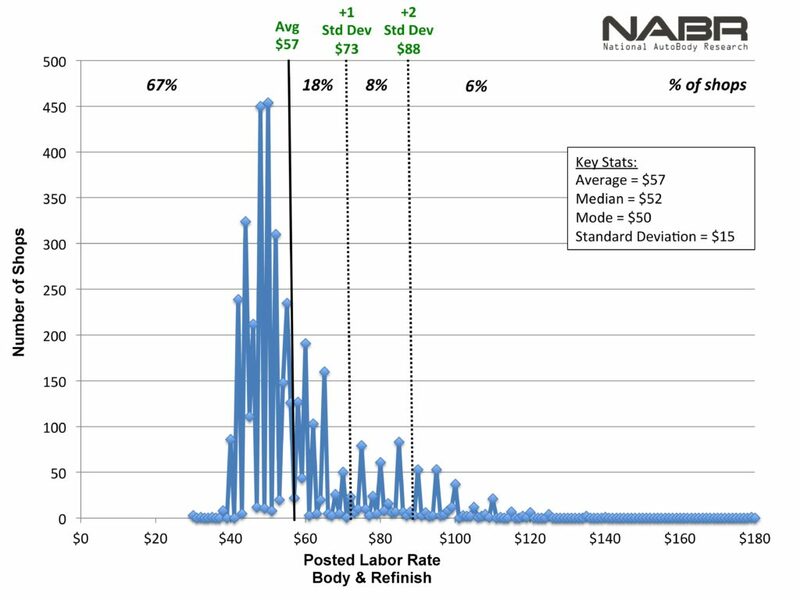 He said his refinishing materials supplier has been raising prices around 6.5-8 percent a year, yet two insurers have kept the same rates since 2014 for body labor and paint materials. “How do you equate that?” he asked. She said the study was the fairest way to collect documentation to produce a solution which was “fair and equitable” for insurers, shops and customers. But some insurers declare the “fair and reasonable” to truly be the cheapest shop in town, according to Berounsky. 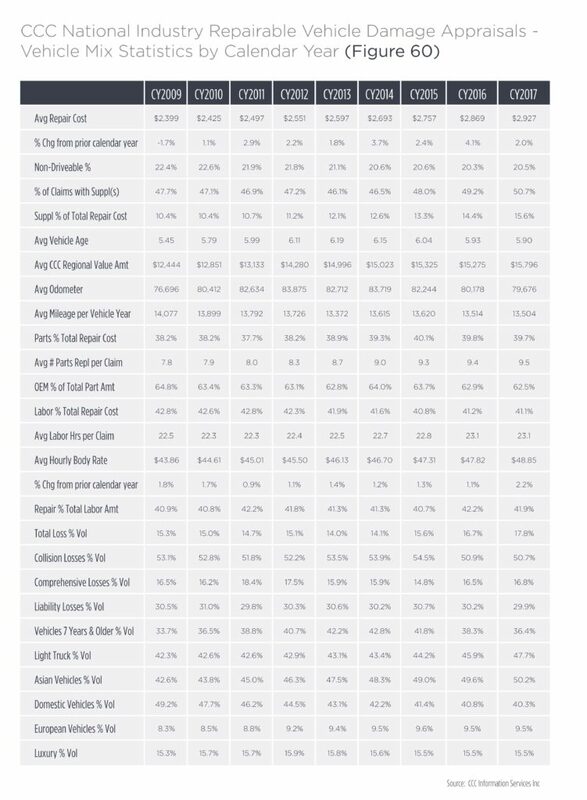 The carriers haven’t performed any sort of study or hired anyone to ask Ben’s Auto Body’s “posted door rate,” Berounsky said. Berounsky said he did his own market survey in Portsmouth, N.H., and the region. According to Berounsky, his Portsmouth-based Ben’s Auto Body charges $50 for body work and $75 for mechanical labor. A Greenland, N.H. shop charged $55 for body and paint and $65 for mechanical labor. Another Portsmouth shop asked $48 for body work and didn’t do mechanical work, while yet another charged $50 for paint and body and also didn’t do mechanical labor. A second Greenland shop charged $50 for metal and paint work but $65 for mechanical and frame labor. “I have insurance companies that want to pay me a flat 45 dollars an hour, across the board,” Berounsky said — paint, body, mechanical and frame. An insurer comes in to his shop declaring the prevailing rate to be $45 an hour, “no it is not 45 dollars an hour; it is a range of these prices,” Berounsky said. He said he has a customer now who has asked an insurer where the carrier was coming up with the purported labor rate, for shops in the area seemed to be charging $48-$53 when the policyholder called around. The answer: “‘We have somebody that will work for that,'” Berounsky said. Casting yet further doubt on other insurers’ purported prevailing rate assessments was the fact that State Farm has agreed to pay Ben’s Auto Body’s door rates, according to Berounsky. How did they “magically” conclude the rate was $50? he asked. State Farm actually did a legitimate labor rate study where shops could input door rates every 3-6 months, he said. “I’m getting paid those rates from State Farm,” Berounsky said. If another carrier is claiming the prevailing rate was $45 when State Farm was paying $50 for body and $65 for mechanical, “‘No way.’ It’s wrong,” he said. Another ridiculous labor rate assertion from an insurer came from a carrier who’d been paying the shop $47 an hour for 2-3 years — only to get a new manager and declare it’d pay $45, Berounsky said. “Well, guess what, isn’t that what you’re hired for?” he continued. State Sen. Harold French, R-Franklin, asked Berounsky about “book rate time” and “actual time,” wondering if doing a job in an hour with a book time of 3.0 meant a $45/hour shop really made $135. “That instance you’re talking about is very rare,” Berounsky said. He said he also took exception with Audatex for what he said were reduced times from what they’d been 5-10 years ago. “We’re almost working hour for hour, now,” he said. Nadeau also explained to the senators that rather than inflating labor times and paying shops “extra,” the book times were often insufficient in the context of collision repair. Times listed for various procedures involved replacing brand-new parts with other brand-new parts, she explained. “When we get a fender, it’s not brand-new,” she said. Though Berounsky and Nadeau suggested it wasn’t an issue, the exchange makes a point in favor of the elimination of any remaining “funny time”-esque scenarios, for they might make it more difficult for shops to convince consumers and lawmakers of the need for similar reimbursement reforms. Be heard: Contact information for Sununu can be found here. Contact information for New Hampshire lawmakers can be found here and here.